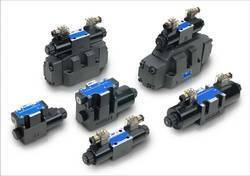 Our range of products include hydraulic valve, hydraulic solenoid valve and hydraulic ball valve. 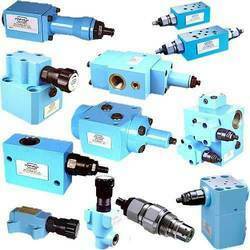 Our organization is a reliable provider of Hydraulic Valve to our clients. This pump is used in industrial processes. It is able to bear effects of high pressure quite easily and is provided with a piston which could be operated with ease. This pump is offered in outstanding specifications. It comes with best tools and components. This pump could be installed quite easily in any given location. Client satisfaction is our objective. Our organization has risen to prominence in offeringHydraulic Solenoid Valve to our clients. This valve is developed on principles of laws of hydraulics. This solenoid valve is reputed for its best quality and is designed to withstand effects of high pressure and temperature quite easily. This valve is developed in an excellent manner. It operates in hassle free manner for years. Last but not the least, we are offering this valve at reasonable price. 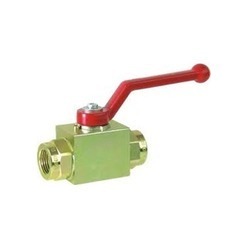 Our organization is known in offering Hydraulic Ball Valve to our clients. As its name conveys, this valve has been developed by applying laws of hydraulics. It has excellent strength and is finished in best manner. This valve is offered in different dimensions to our clients and is customized according to their requirements. We offer constant improvement on this ball valve for we are committed to ensure satisfaction of our clients. Looking for Hydraulic Valve ?